There is no easier sport to put into practice than running: you don’t need a field or a prepared track, you don’t have to wait for it to snow or for the surf to be up. You can do it at any time and anywhere, alone or with friends. Just open the door to your house and start running. But that doesn’t mean that you can do it any old way. If you follow these training rules and nutritional guidelines, you will save yourself injuries and fatigue, your performance will improve and you will enjoy running more and more. 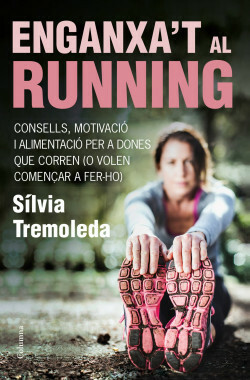 Sílvia Tremoleda’s tips in this book are all useful for sports and your health in general. Do you know what are the most frequent errors we make when we set out to diet? And why are diets so hard to maintain? If you do sports, can you eat everything you want to? What do you have to do to start running if you haven’t exercised in a long time? How much liquid should you drink when you go running in the summer? And many more things you need to know about running, whether it’s hot or cold, uphill or down. Tips, motivation and nutrition for women who run or want to start.